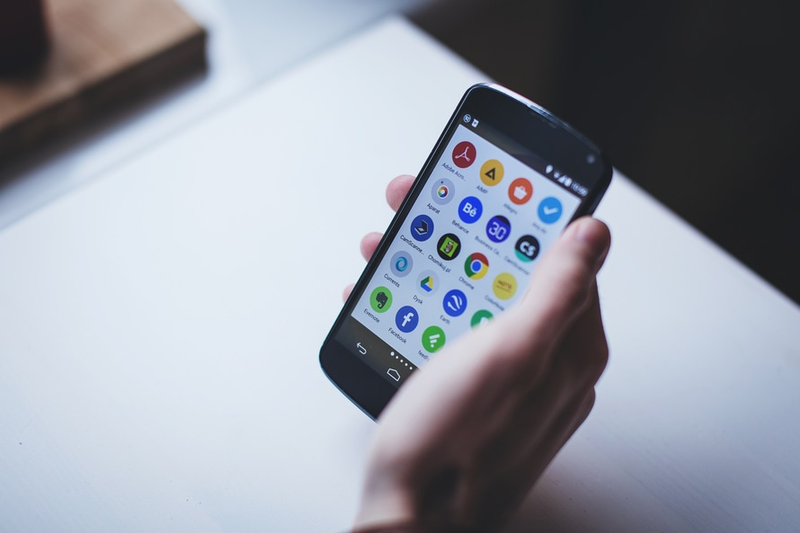 According to a report written by INC, many small businesses do not regard having a mobile friendly website a top priority. The same article also sited that 23 percent of existing business sites are not mobile friendly and 9% did not know if there site was optimized for mobile use. While these stats above appear to be getting better year-on-year, there are still far too many businesses that will inevitably be missing opportunities to interact with new customers - as a direct result of not having a mobile friendly site. If you are one of these statistics that isn't ready, willing or able to adopt a mobile strategy, then hopefully, by the end of this blog, we will have convinced you otherwise. The number of smartphone users worldwide is expected to reach 2.08 billion by the end of 2016. Over two thirds of UK and US adults already own a smartphone and use it more than any other mobile device. This point alone should send businesses into a frenzy of excitement. With the adoption of mobile technology steadily increasing, coupled with the on-going improvements to 4G availability, more and more of us are using mobile devices whenever and wherever! 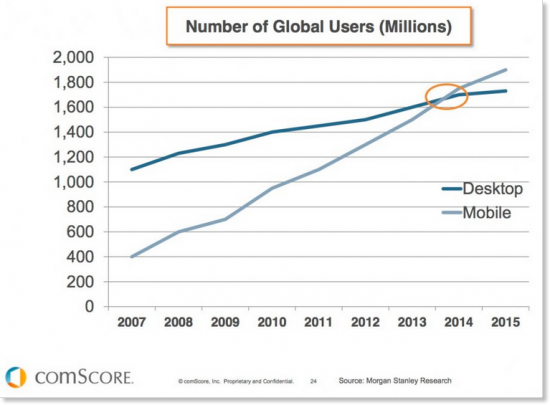 There are now more mobile users than desktop users. Take a look at the graph from Comscore. Back in 2014, comScore, a leading internet technology company, also reported that 55 percent of the total amount of time spent by consumers shopping online (for a given month) was via a mobile device. 44 percent of this was from a smartphone and 11 percent from a tablet. While it is important to note that desktops still have a higher conversion rate and make up the majority of visits across all industries (not just ecommerce), according to Adobe Digital Index, in 2014 The Guardian UK reported that 52 percent of visits to online retail sites were from mobile devices and made up 36 percent of purchases. In 2014 Search Engine Land found that over half of all 'on-the-go' search queries on Google have local intent. Local searches have a higher conversion rate, with 50 percent of mobile users visiting a store within a day of conducting a local search and 78 percent of local searches converting into sales. This is compared to non-local searches - only 7 percent resulted in purchases. 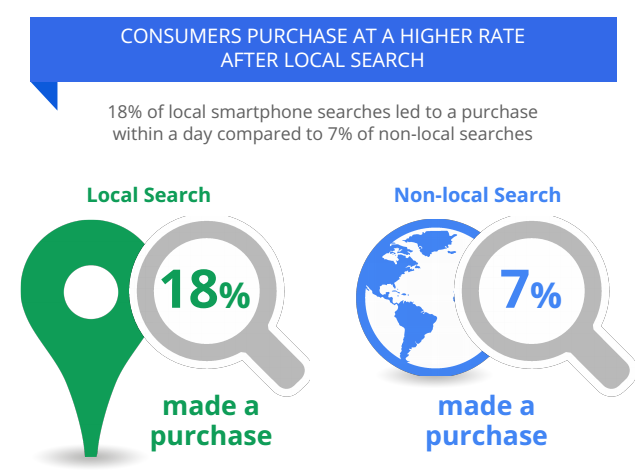 Sales From Local And Non-Local Smartphone Searches. So, if you're a local business, check out your the number of mobile sessions via your Google Analytics. If mobile users only make up 15-30 percent of your overall traffic you will be missing out on sales daily without a user friendly mobile site. In 2015 Google announced the roll out of the mobile friendly update, which was updated again in March 2016. This update was designed to give mobile friendly pages a boost in rankings on mobile search results. In a bid to provide users with higher quality search results (for the mobile user) Google stated that text had to readable (without zooming), tap targets were accessible and page avoids horizontal scrolling. 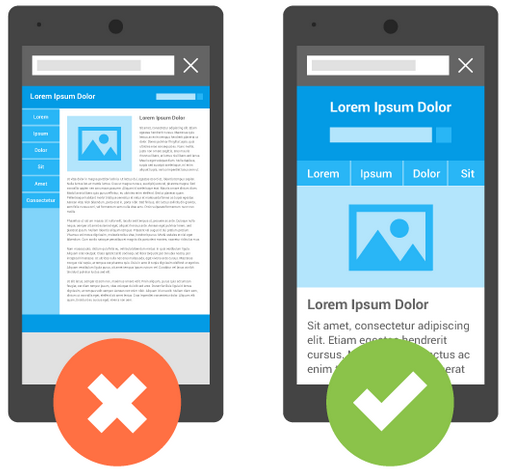 WooRank can help you to test whether your webpages are mobile friendly, offering tips and advice to help you improve. You can also sync your Google Analytics account to see you how much of your traffic comes from mobile search. 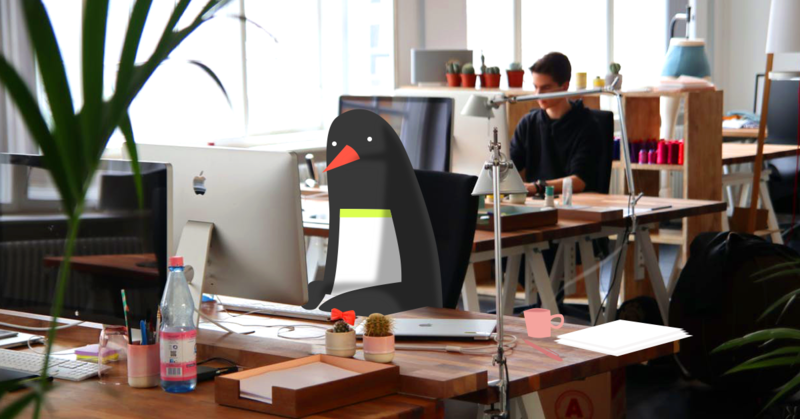 If you want to be found on the giant of all search engines - Google - then you must adapt and comply, and make your site suitable for mobile users. It probably comes as no surprise that mobile viewing is more popular that traditional media among Millennials. With the rise of Instagram, YouTube and digital services such as NetFlix, every day 15-16 year olds in the UK spend around 4.5 hours online. Perhaps more importantly, eMarketer's calculated, that the average time spent by U.S. adults watching television has been on a consistent decline since 2010 to 2014, while time spent on mobile devices continues to rise. In fact, the study also predicts a decline in the use of desktop as we spend more time watching videos and checking Facebook on mobile devices. Although we have pointed out that the majority of mobile activity is generated from social media and watching digital content, it does however, highlight the important role of personal devices. It also means that companies that once advertised on TV will now be placing a larger emphasis on mobile advertising campaigns. And if you choose to advertise on mobile platforms then you will definitely need to have a site that is optimized for your mobile users. When using mobile sites that are optimized for the user, shoppers are 160 percent more likely to convert. NetElixier also found that shoppers will only spend 70 percent of the average order value made on desktop sites of the same retailer, when using non optimized mobile sites. However, this increases to 102 percent when using optimized mobile sites. They attribute this to impulse purchases fostered by the immediate nature of mobile shopping. During the last Black Friday/Thanksgiving Event $4.5b was spent by consumers and 34 percent of purchases were made on mobiles - accounting for $1.5b of that amount. IBM also noted that on Black Friday, smartphone shoppers spent $117.87 on an average order which was an increase of 5% on the previous year, while the average spend from desktops remained largely the same. So, not only have we proved that mobiles are more popular for browsing and researching, we can now safely say that purchase values are increasing - especially during holiday discount events - and they make up an ever growing proportion of the overall spend during these periods. Consider for a moment the behavior of a mobile users. If the average user browses whenever they get the chance or when they are on-the-go, then they're going to expect a completely different experience compared with browsing on desktops. This could mean they demand instant responses, accessible information and short videos to digest. 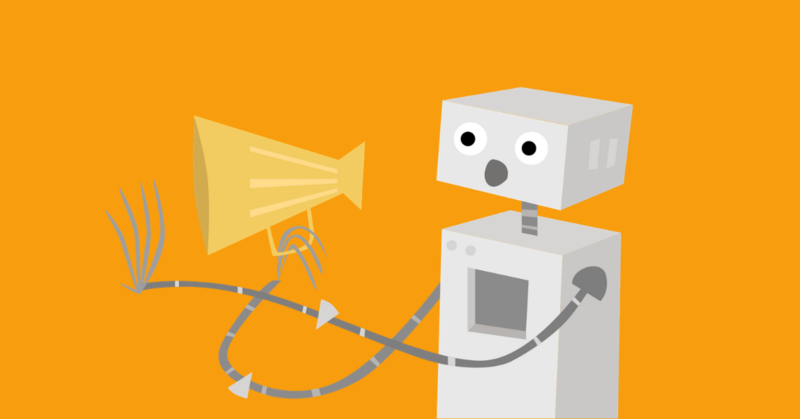 According to KissMetrics even a 1 second delay could result in a 7 percent reduction in sales. It is therefore paramount to ensure that your site's mobile version is clear, accessible, searchable and fast! Although we have already highlighted that mobile use surpasses desktops and more time is spent on mobile devices compared with TV, only 8 percent of advertising spend is put aside for mobile advertising. This could perhaps be attributed to a lack of information about the popularity of mobile? In any case, with fewer competitors advertising and a consistent increase in mobile users, there has never been a better time to invest in your mobile advertising strategy. What are you waiting for? A previous WooRank blog post may help you to determine whether you should focus on developing an app or optimizing your mobile site. Convinced? We thought so! Before, you charge off into writing your mobile strategy here are some final tips to take into consideration. 1. For responsive design always ensure that your site adapts to the screen resolution of a device. Use device emulators or operating system simulators to test the mobile rendering of your site. 2. Information should be accessible without having to pinch or zoom to read text. 3. Make sure that important information is above the fold (ATF). Obviously this will be different on mobile devices compared with your desktop site. 4. Consider potential connectivity issues that could result in slowing down your page loading speed. 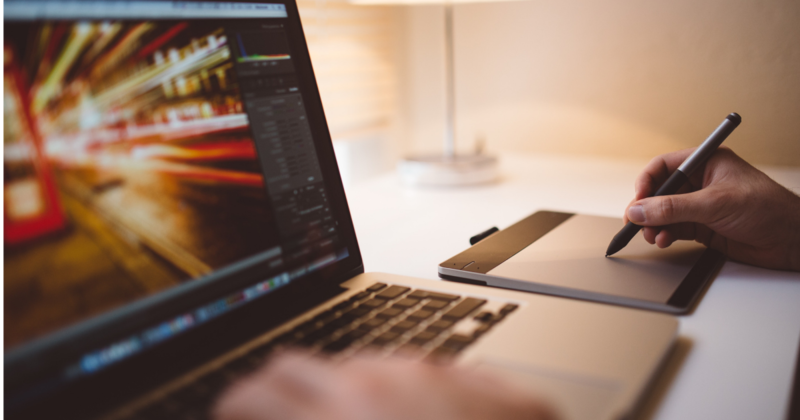 Make sure your images are optimized, minify code and limit the number of redirects. Speed is essential! 5. Scrolling vertically is fine (and trendy) but don't make your users scroll horizontally. It's awkward, annoying and a bad user experience can result in poor usability signals to Google, causing your pages to be ranked lower in the search results. 6. Don't use Flash, it is not compatible with most smartphones (Apple products) so stick to HTML5 for interactive features. 7. It's not only important to have a mobile site but also a mobile strategy. 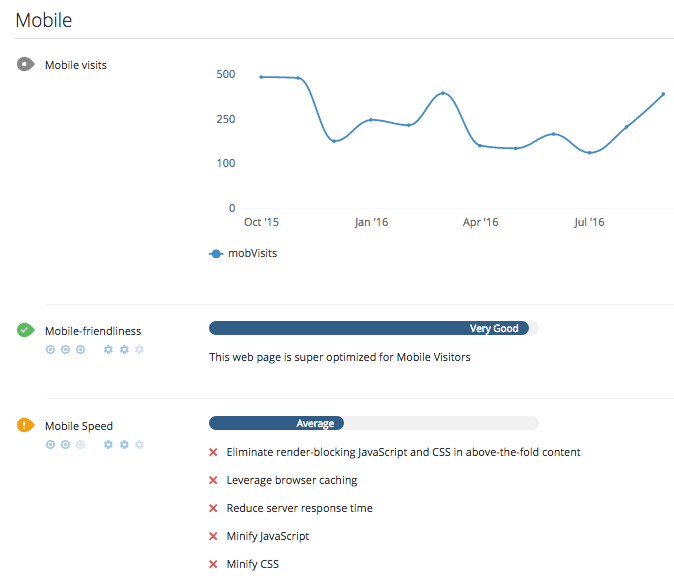 Investigate what your mobile users do when they visit your site. Is it to find your number and contact your business? If so, make this a prominent call to action on the home page or ATF. Alternatively, if the majority of users simply want to browse then make it easy for them and avoid cluttering your design with unnecessary information. 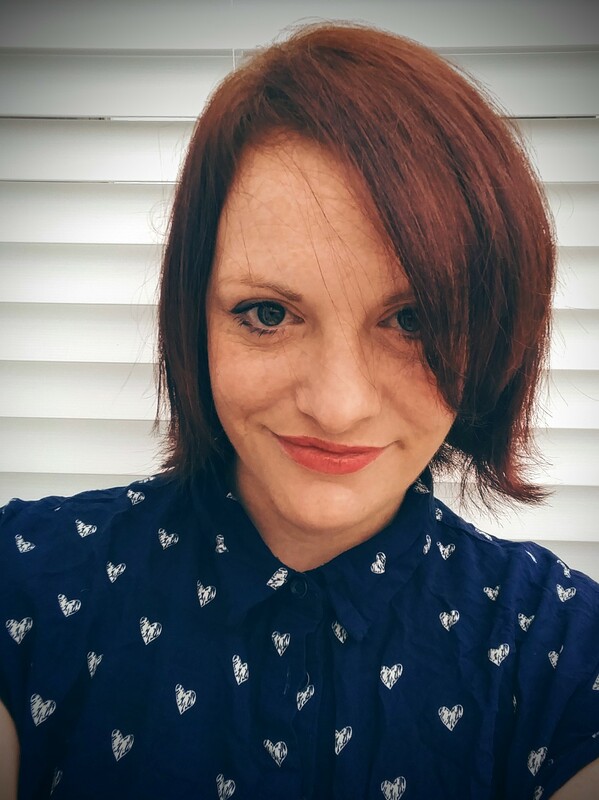 There are loads of online resources to help you and this is great article centered around those important design considerations. 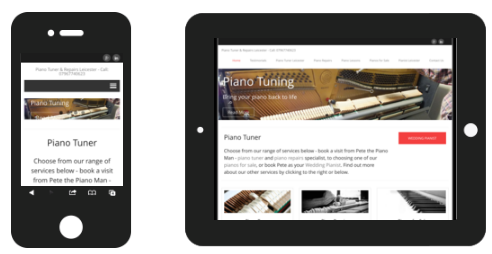 Have you recently optimized your mobile site? Have you seen an increase in sales or visits to your site?